Months ago, we found out that Michael B. Jordan, Lupita Nyong’o and other high-profile actors would be joining the cast of the Black Panther movie. Now, we know who they’re playing. During today’s Marvel Studios film panel, CEO Kevin Feige had director Ryan Coogler on stage to talk about the upcoming Wakandan adaptation. 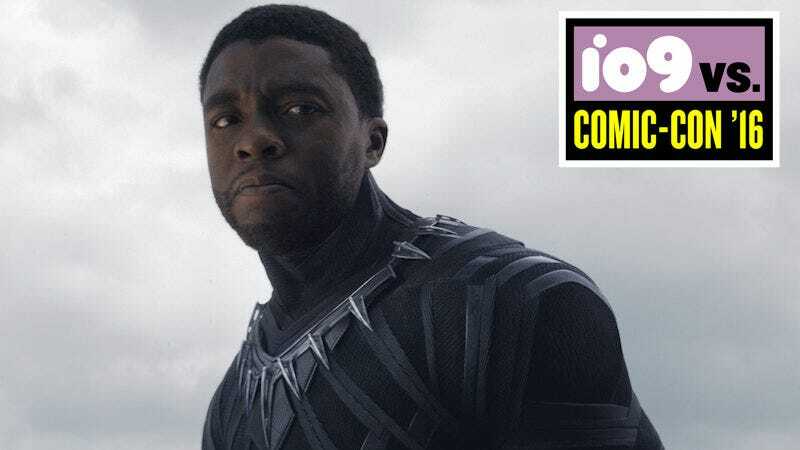 Coogler was joined on stage by Panther lead Chadwick Boseman and other cast members, whose roles in the film were finally divulged. Jordan will be playing T’Challa’s archenemesis Erik Killmonger, the genius insurgent who’s destabilized Wakanda multiple times in the comics. Nyong’o will be playing the role of Nakia, a member of of the Dora Milaje, Wakanda’s all-female honor guard. Danai Gurira—who plays Michonne on The Walking Dead tv show—will be embodying the character of Okoye, described as the leader of the Dora Milaje.